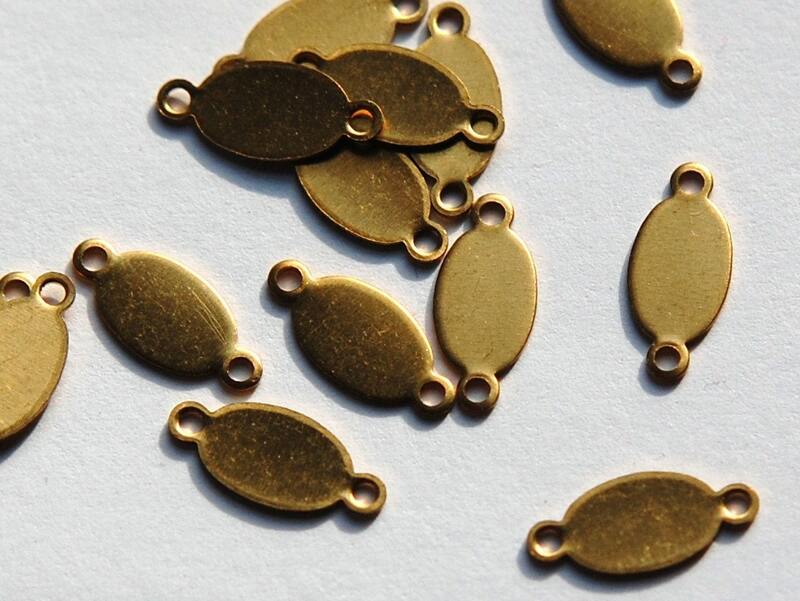 These are raw brass flat oval tags. They have 2 loops. These measure 13mm long with the loops X 6mm wide. You will receive 16 pieces..